Loved this race! small, nice scenery (minus the trail) fantastic race shirt, overall had a blast! 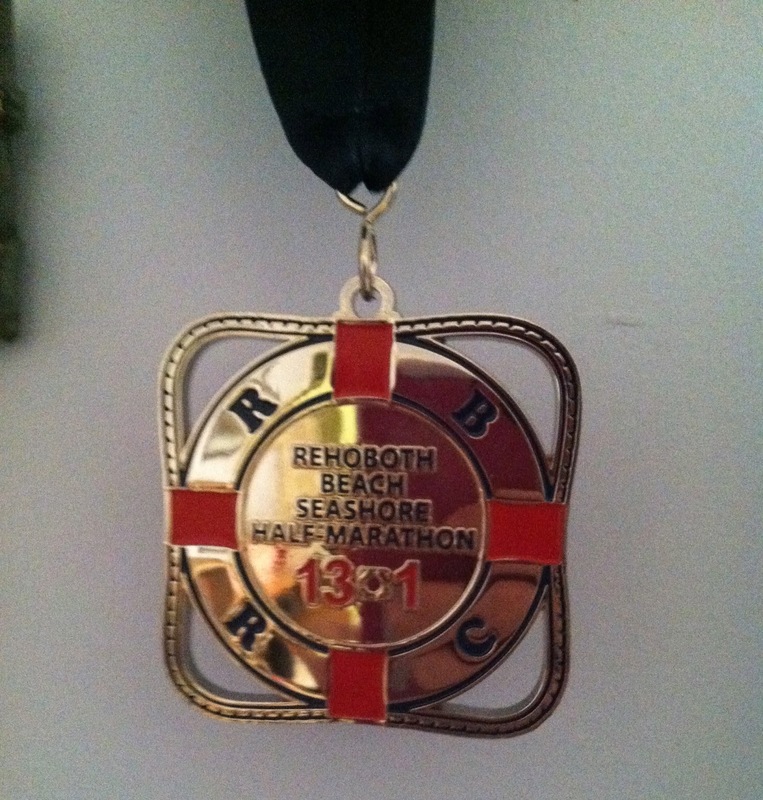 Rehoboth beach was an awesome race. Even though there wasn’t very much to it in terms of scenery and sideline talent I still enjoyed every minute (besides the knot in my calf at mile 8). This race offered a Marathon and half option which started at the same time. There was also not a lot of people running which was nice so it wasn’t overcrowded like many of the other races I race in each month. The course took you along mainly back roads plus a trail. There was a lot of aid stations filled with some many different people and the main in and out road filled with spectators. I did not enjoy the trail ad I never really do because the stable ground is better for my IT band. Plus it rained the night before and the roads were soaked so of course the trail was a little muddy as well as slippery. My only negative comment is that at the turn around they should have made it a better split and more defined/ further apart from each other. This is because since everyone was running together, if a half marathoner was at the turn around spot with a marathoner behind them they could trip or slip which almost happened in my case causing the people behind them to avoid a crash. The ending wasn’t as spectacular. It was off to the side of the main road and had just the timing mat so it wasn’t really a big finish area. The medals were very cool though and I loved the after party. Also, if you finished in a certain spot you got an even cooler award. Filled with a DJ, so many food choices plus masseuses. Couldn’t have asked for anything more. Plus you were right in the middle of Rehoboth beach downtown area/ boardwalk so if you didn’t want the food offered you could splurge for thrashers and Dolly’s which I did. I finished 9th but if I ran my typical half-time I could have been top 5. 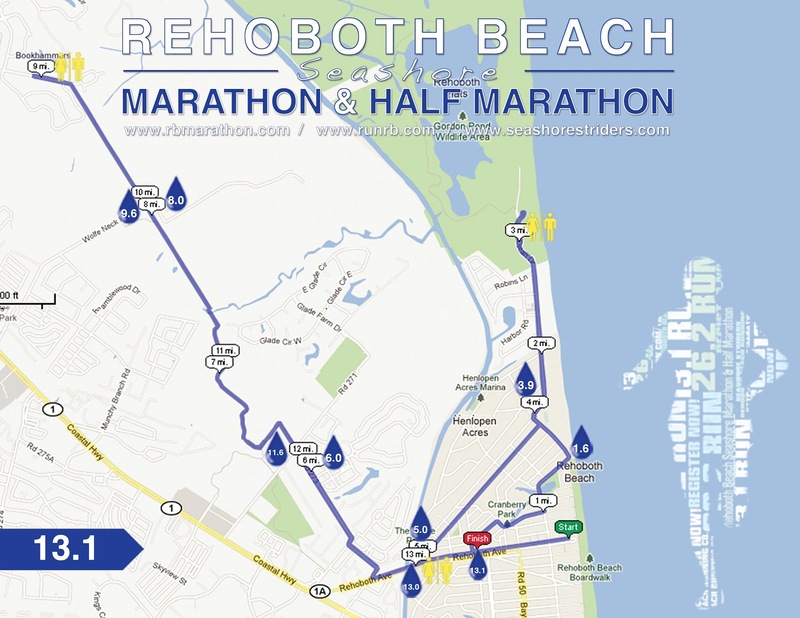 Posted in delaware, Half Marathons, rehoboth beach.